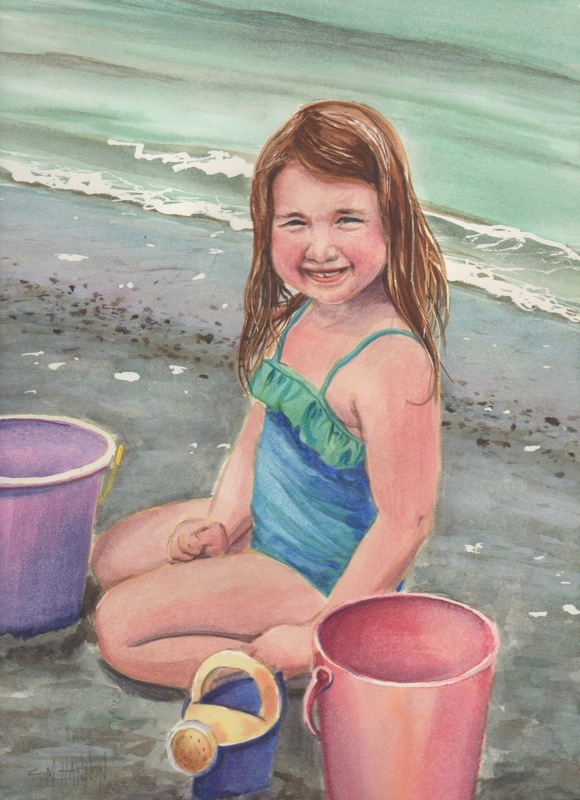 A quick watercolor of my niece Emma at the beach. It is my first watercolor portrait, so I learned a lot. It took about 3 hours and I have included the photo I worked from... I can't wait to give it to her mom tomorrow. 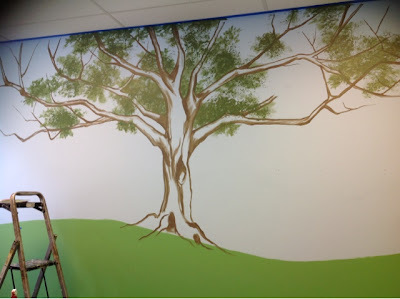 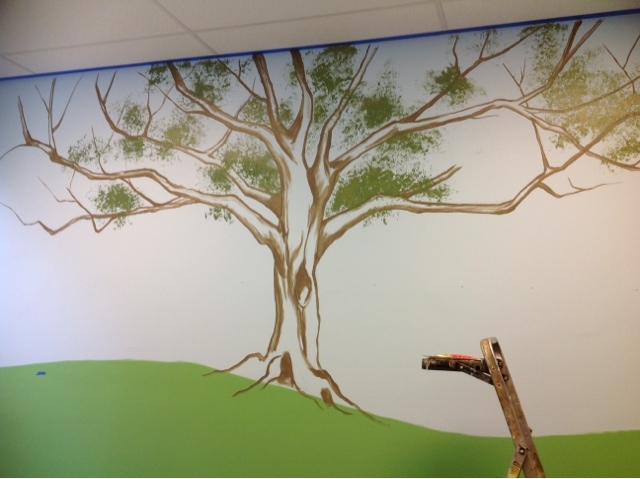 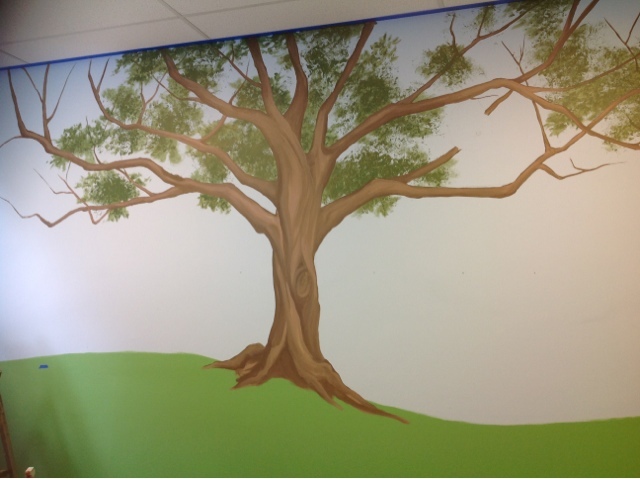 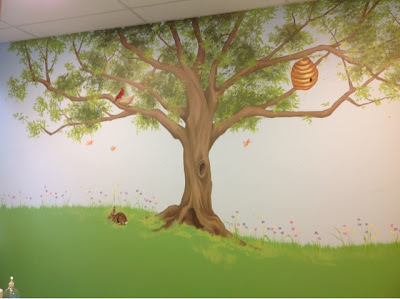 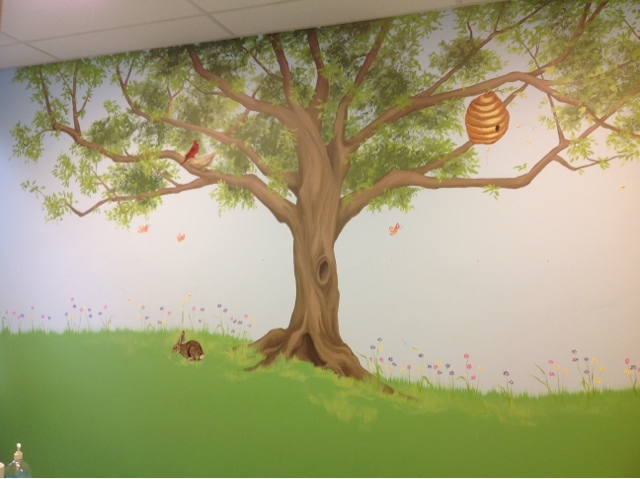 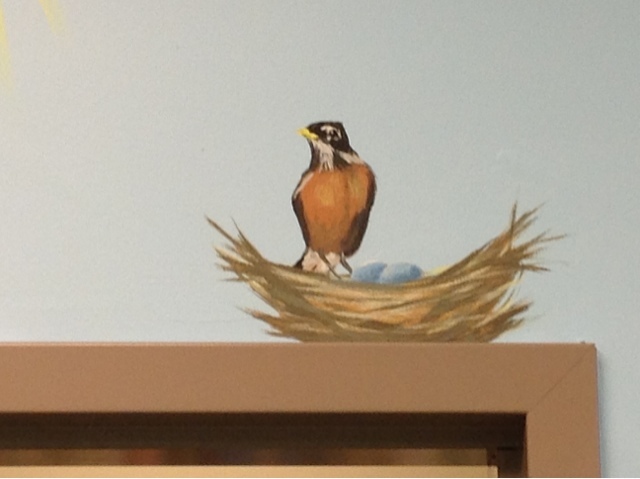 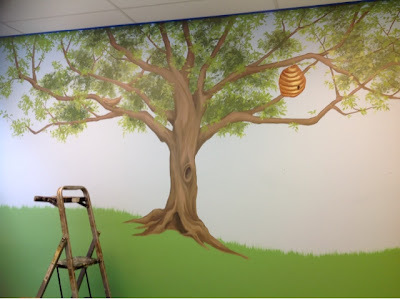 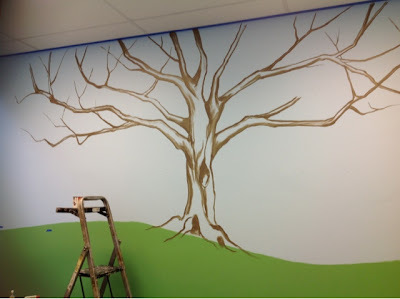 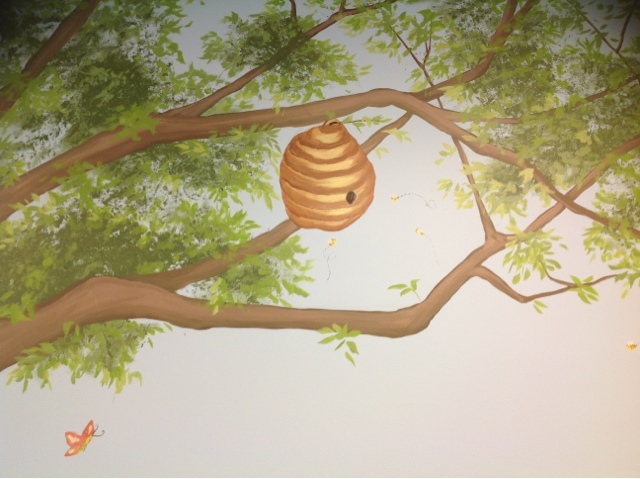 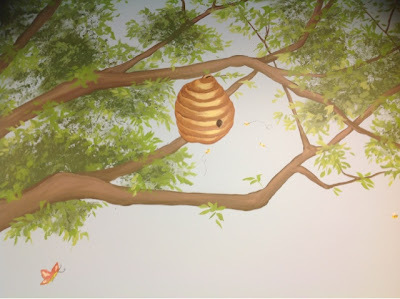 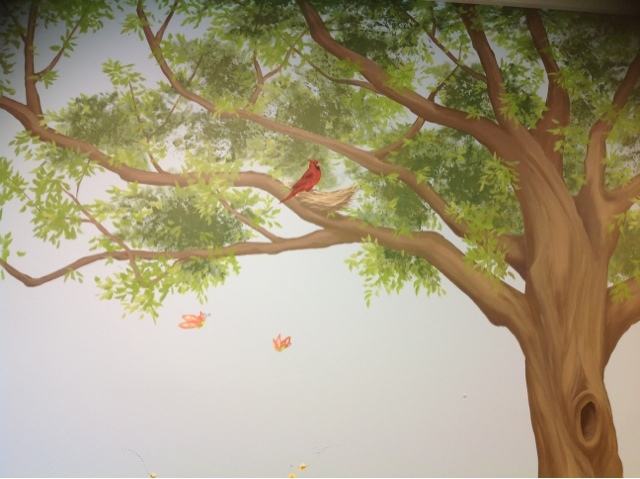 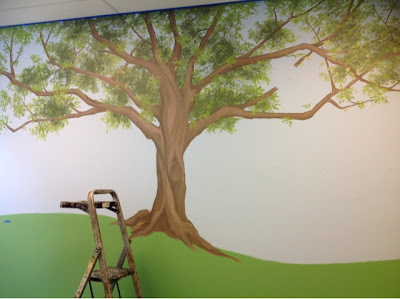 Ten hours in a school nurse's office allowed me to paint this large tree with a cardinal, the school mascot, and a friendly beehive, the reason why many students end up in the nurses office. 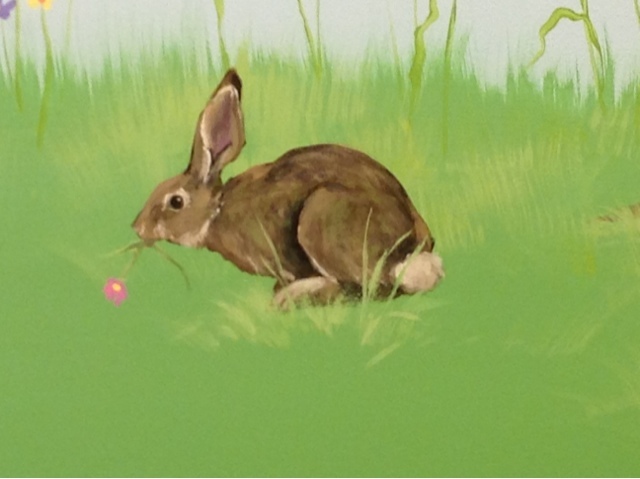 The bunny and robin's nest were added just because they were cute. 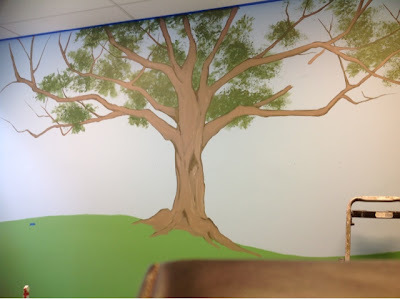 In a space where a lot of important things must be stored, I hope this gift to our parish school will help make a student's time with the nurse less stressful. 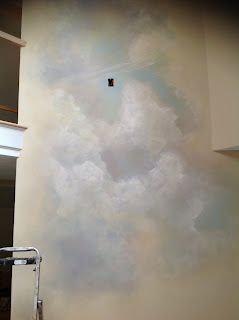 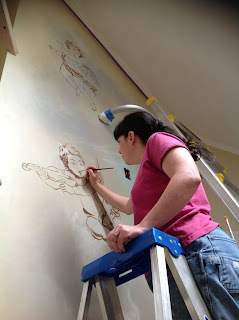 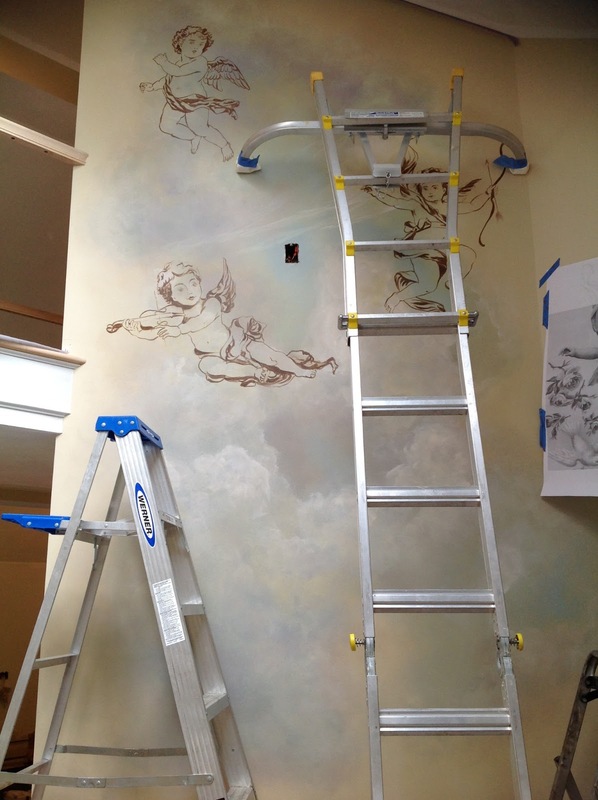 15 feet high, 25 hours to complete onsite (3 hours to prep in the studio) and one very surprised homeowner who had NO IDEA her partner commissioned me to do the mural, which represents her 2 sons and his one son. 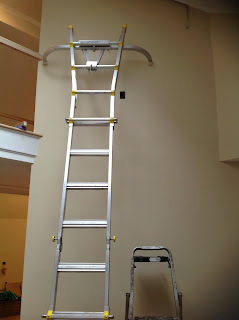 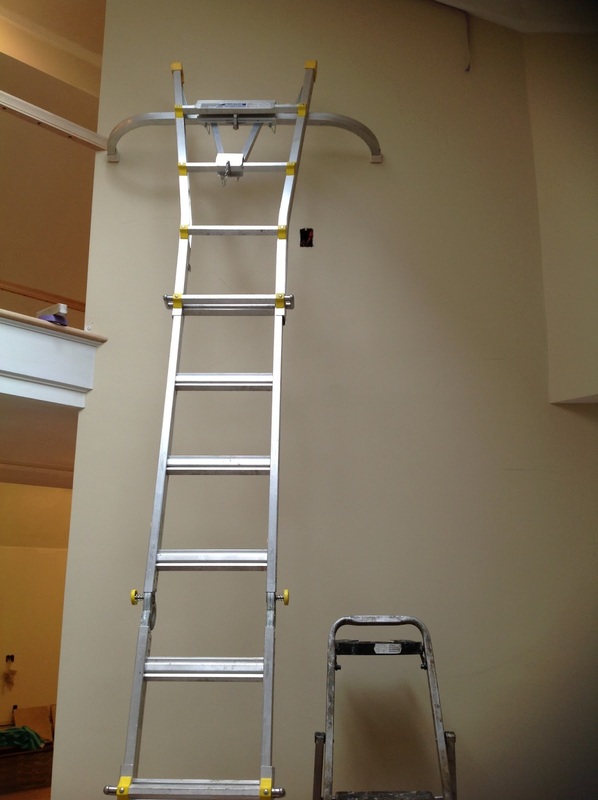 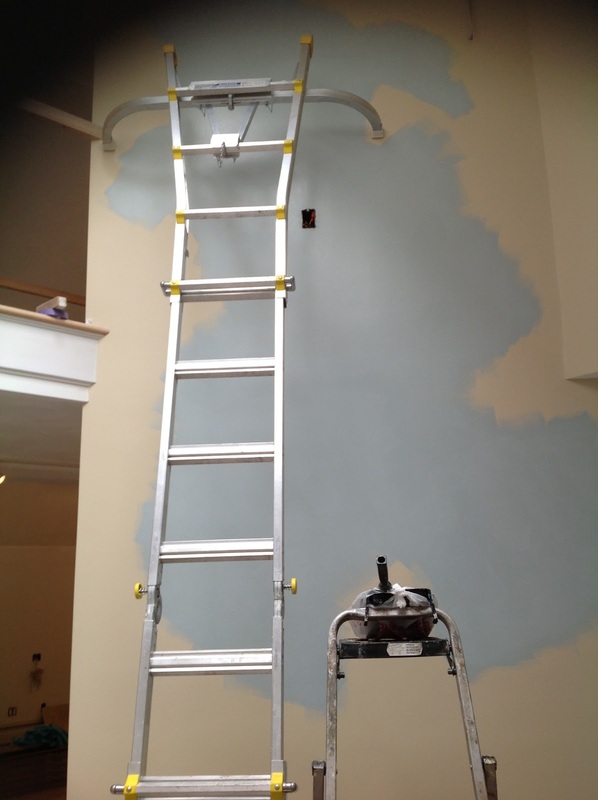 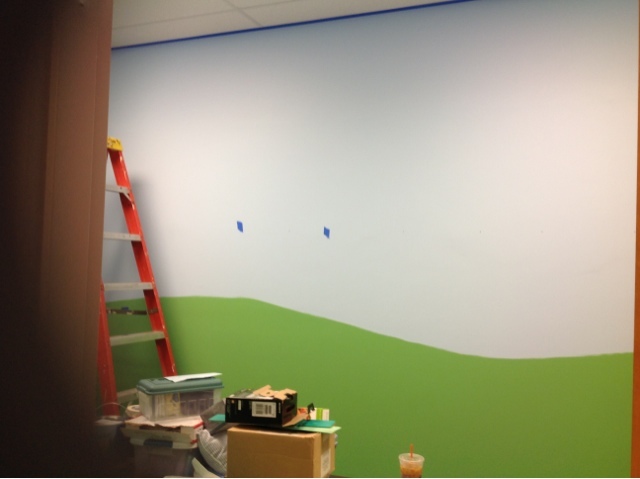 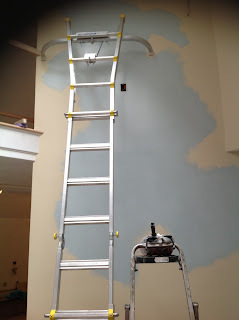 The surprise was a team effort with the painters & carpenter, who played along for several weeks to set up the timing. 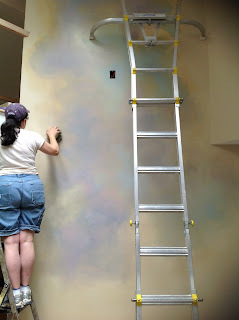 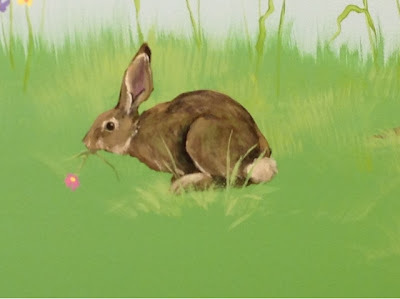 Since the home was empty of furnishings and being completely remodeled, there was no need for her to be around in the morning, and by telling the her that the exterminators had to bomb the home, we were able to keep her out for a day and a half. 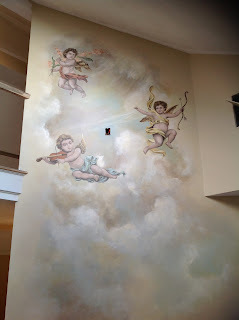 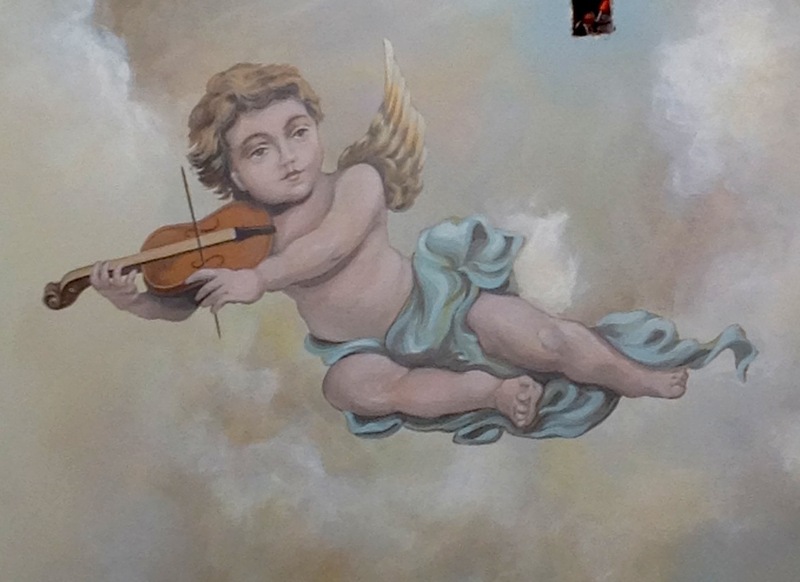 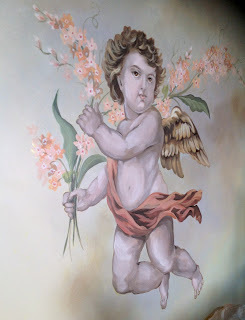 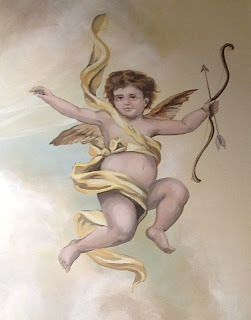 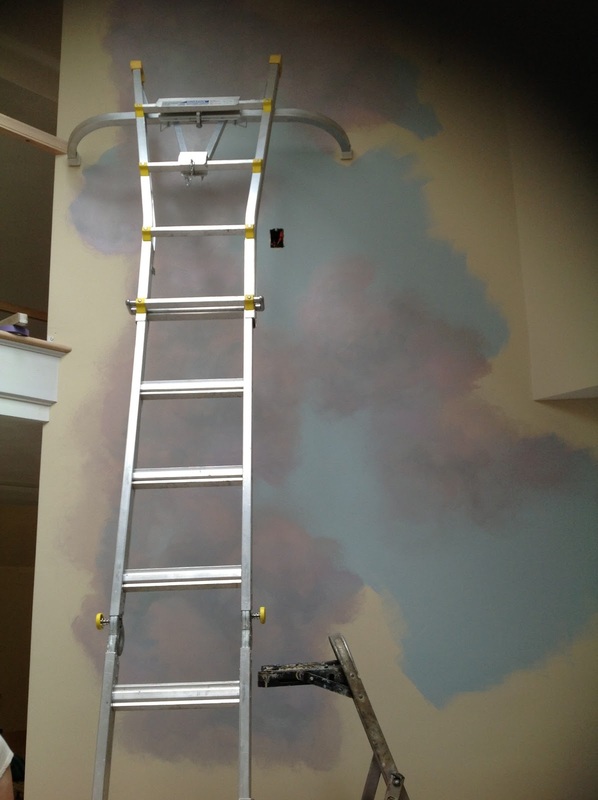 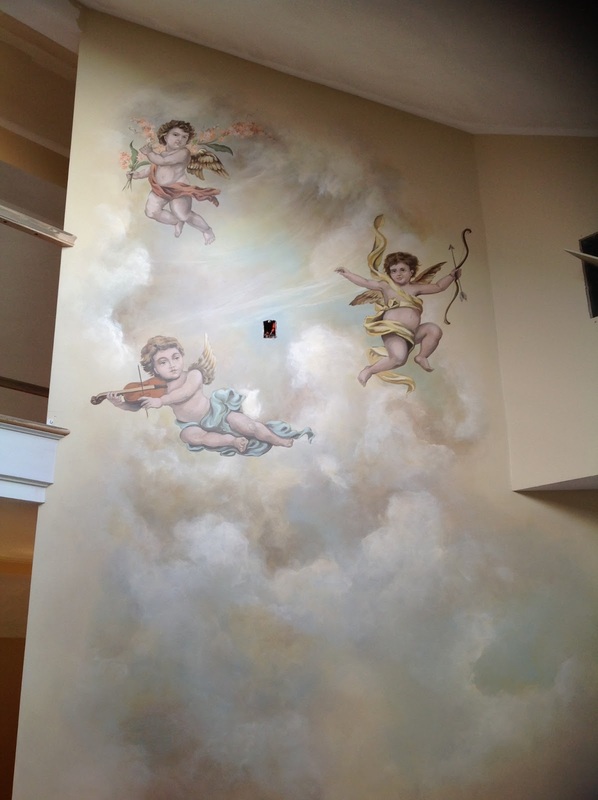 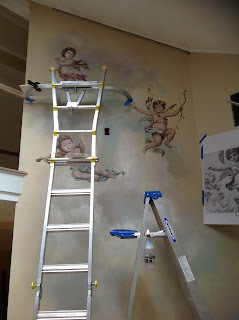 It was enough time for me to paint the sky, clouds and finish one cherub and draw out the other two. 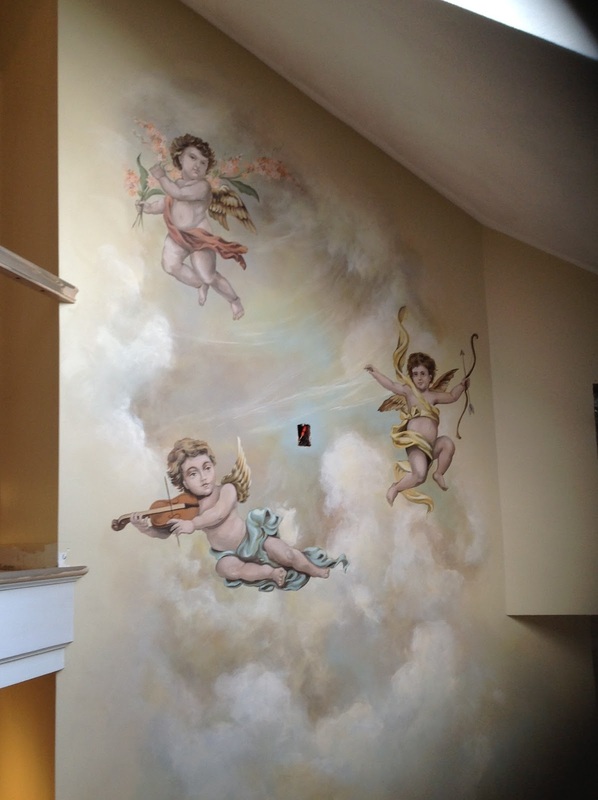 She loved it, as she is crazy about cherubs, and only requested that I keep with a gold and brown palette, rather than a pastel palette. Some glaze and tweaking of the first cherub, and we were able to create a dramatic entrance that would flow with the rest of the new home. 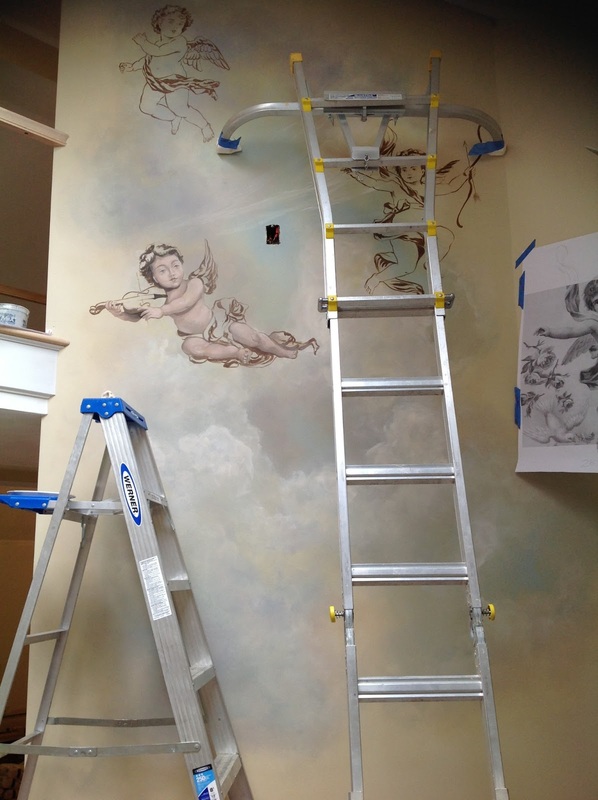 A large, heavily framed mirror, hall table and Italianate wall sconce will be installed shortly to complete the composition. 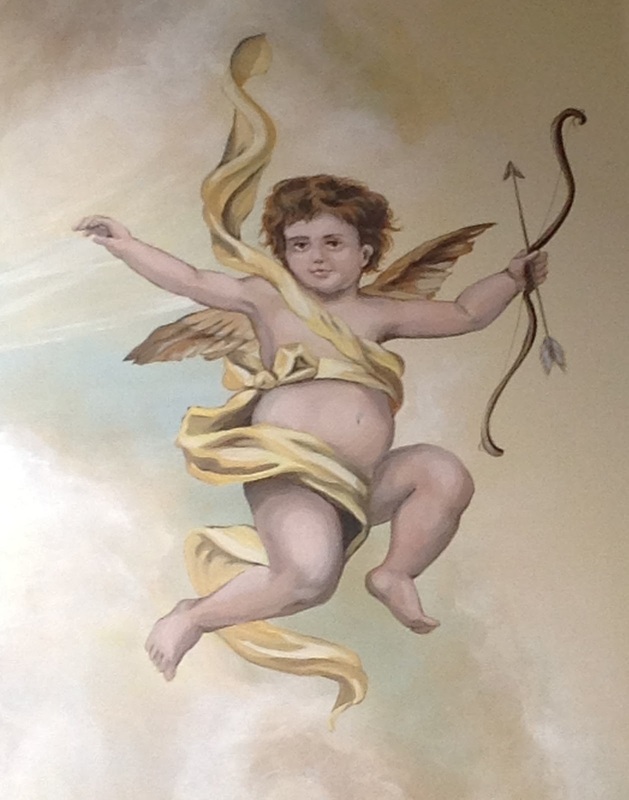 Have a safe and joyous holiday weekend. 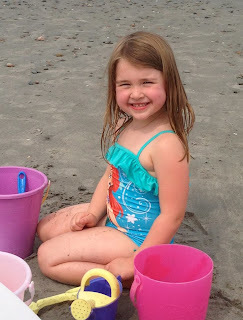 God Bless the U.S.A.